Founder Dr. Joseph M. Caporusso opened Complete Family Foot Care at 246 Lindberg Avenue in McAllen, Texas on October 1993 just down the block from our current location. Dr. Caporusso graduated from the Pennsylvania College of Podiatric Medicine. He continued his training at the University of Texas Health Science Center at San Antonio, TX. 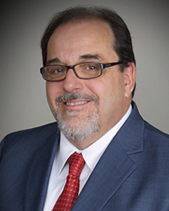 He is past president of the Texas Podiatric Medical Association, The American Podiatric Medical Association and the International Federation of Podiatrists. Dr. Caporusso has lectured both nationally and internationally. He has written many articles concerning the care of the foot. He is the founding member of the Ni&nacute;os de la Frontera project in Reynosa, Mexico. Locally, Dr. Caporusso has been involved in many boards and advisory groups. He has also served as a trustee and vice President of the McAllen Independent School District Board. He is bilingual in English and Spanish.